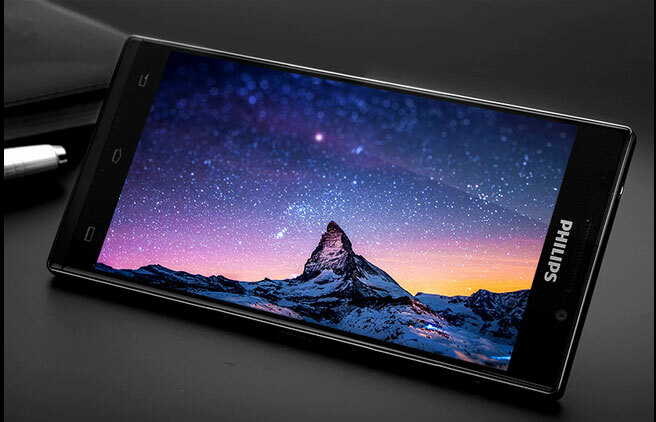 Phillips is in the smartphone market for quiet awhile but they haven’t got the chance to be in the spotlight outside Asia that much and hence wants to keep a strong position in the Asian market. They have just released their new smartphone, the i966 Aurora which looks to be a pretty premium looking device. The 5.5 inch smartphone sports a QHD display with a really small bezel. It sports a 2.5D arc glass and corning gorilla protection. In the inside it has a 2.5GHz Snapdragon 801, 3GB RAM and 32GB internal storage. The device also boasts a 20.7 MP Sony IM220x f/1.8 sensor along with a front 8MP camera. The other specs are also the usual like Bluetooth 4.0, GPS and so on. It has a 3000mAh battery to back up the mammoth display and even has a fingerprint scanner which even works with wet hands. The most interesting part is that the device isn’t based on Android but works on Alibaba developed Aliyun OS (yes that’s basically android as well). The price of the device is a bit in the higher range as it carries a price tag of 600$. It will be available only in China as the OS is customised for that region. So if you’re wondering where to get these, we are sorry but it would not be available elsewhere!